I saw this palette and knew that I WANT IT!!! It has a range of 12 shades which seemed suiting my requirements. All the reviews confirmed my temptation and finally I got it. Does Oh So Special, which I call MY DREAM PALETTE, made my dream come true or not? To Know More Read More!!! 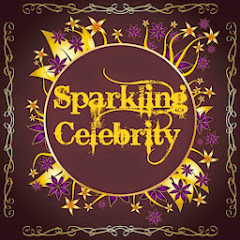 They have a wide range of 12 palettes Storm, Bad Girl, Acid Respect and Sparkle2 etc. I Proudly OWN: Oh So Special (OSS). OSS comes in a sleek packaging properly packed in a black hard paper packing/box. It has a flip open lid. 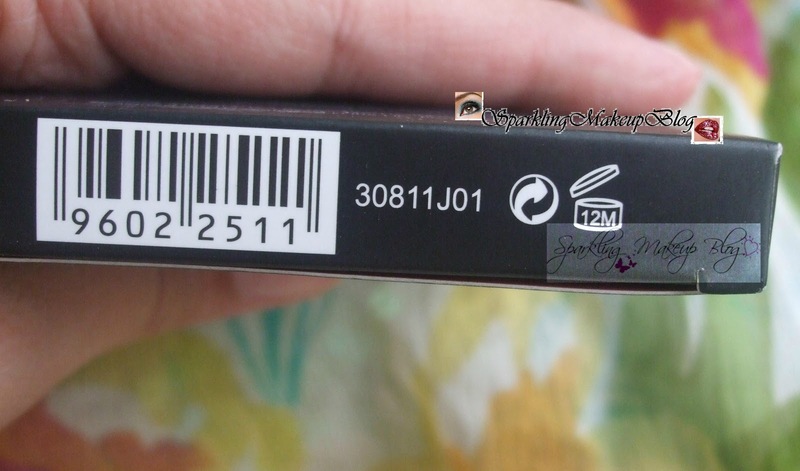 On the upper side of Lid Sleek makeup is in-scripted in frosty black against black cover. The tray has 12 shades in round pans,my palette has plain pressed shades not the groovy pressed ones. Inside the lid there is a full mirror. In between the Lid-mirror and tray is a plastic sheet(transparent) with all shades' names printed on it. The palette has its own double ended applicator. Net wt. 12 x 1.1 g, 12 x 0.03 oz. This palette will survive 12 months only. Designed and Developed in the UK Produced in China. 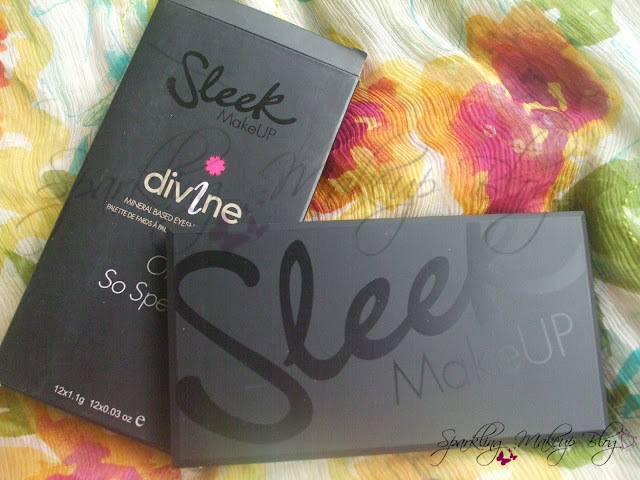 I saw this palette in some review and on digging in details of Sleek makeup's i-Divine palettes I liked Oh So Special (OSS) the most it really is So Special. All the palettes were tempting but this one is really so special as it has got most of the shades that suites my choice esp Ribbon captured my eyes and heart. 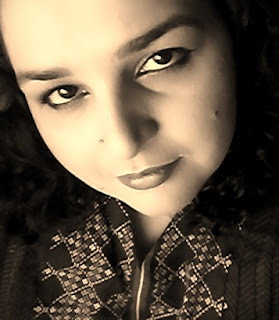 I read many reviews including that of Sara Hassan and knew that I made the right choice. The next step was to get it so I started knocking the doors of many online stores in Pakistan, few had it out of stock and few were charging heavy amount for my desire. 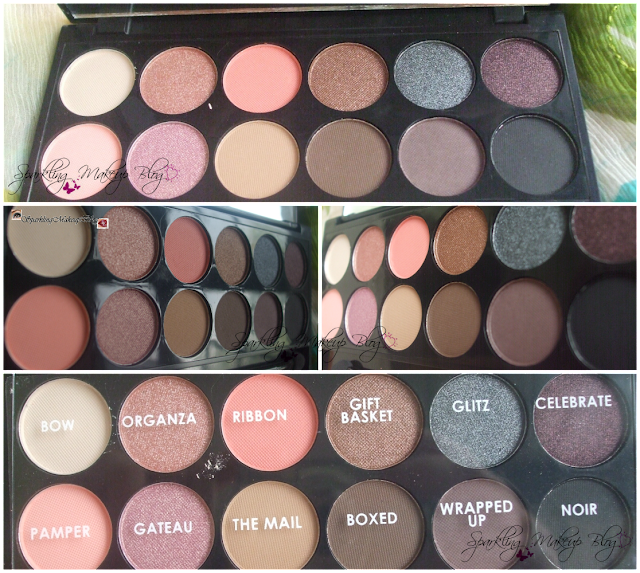 Finally Beauty Unleashed came to my rescue and in the reasonable prices and free delivery provided me with my desired dream palettes OSS and Blush by 3 in Lace. Have a look @ my HAUL. I was so happy when I had this Sleek palette from Sleek makeup in my hands. On opening it I could feel my eyes shining and my cheeks glowing with joy. I loved it and was glad that my Dream Palette made my dream come true. Every single shade of OSS was what I ever wanted. OSS has 7 matte shades Bow, Ribbon, Pamper, The Mail, Boxed, Wrapped Up and Noir. 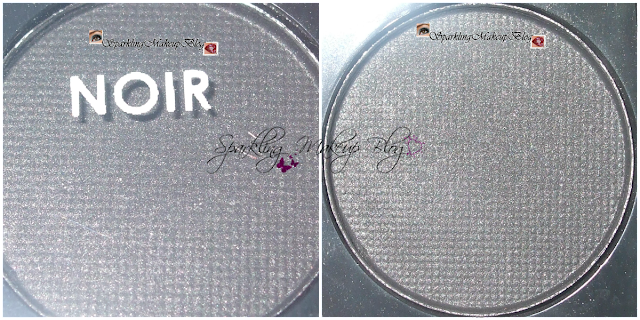 the rest of the 5 shades are shimmery i.e Organza, Gift Basket, Glitz, Celebrate and Gateau. 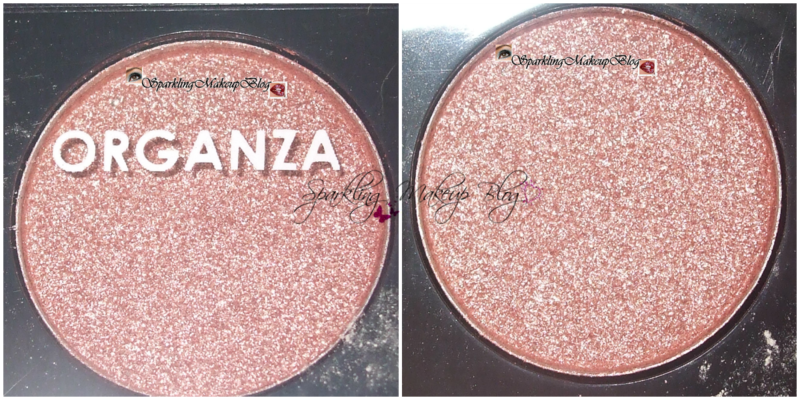 The shimmers are more pigmented than the mattes. 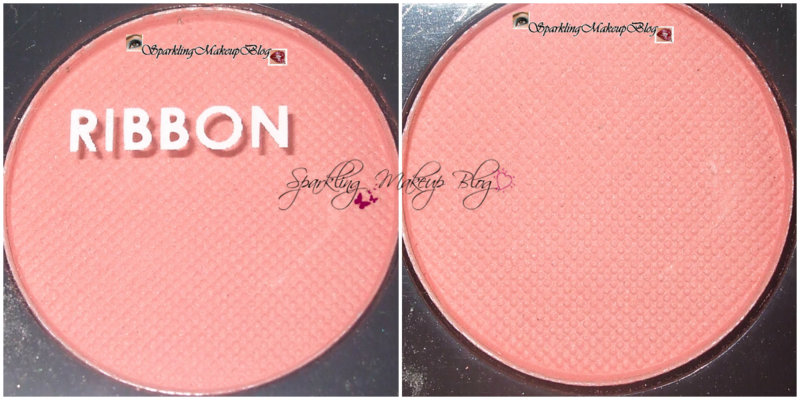 Few mattes are chalky and need a strong primer to help them show and stick to the lids. Some shades have an issue of fall outs. But the colour choice of this Palette makes it a winner and a heart throb for me. 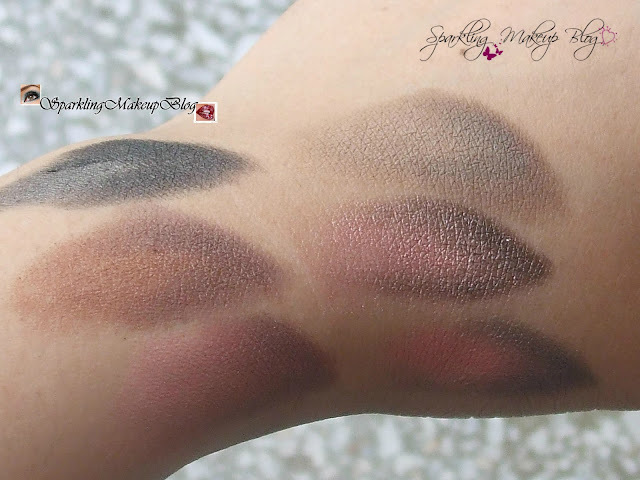 Let's Review all the 12 shades individually from Left to Right of the palette starting from the upper left corner. It is a very light shade a kinda' skin shade. 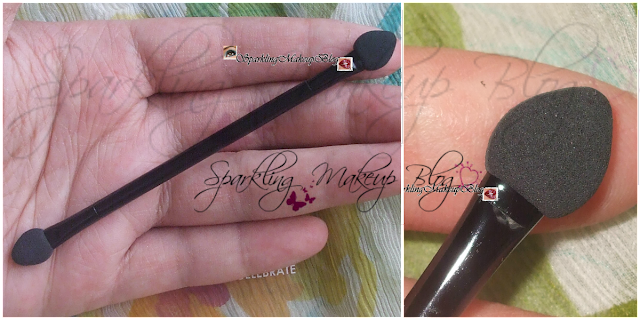 Good to be used on brow bone for matte eye makeup look. It is a bit chalky shade, needs a eye primer to show and stick to the lids. The second shade in the row is Organza and it is a shimmery shade kinda' pink frosty shade. It blends well and can be worn alone for a simple look. 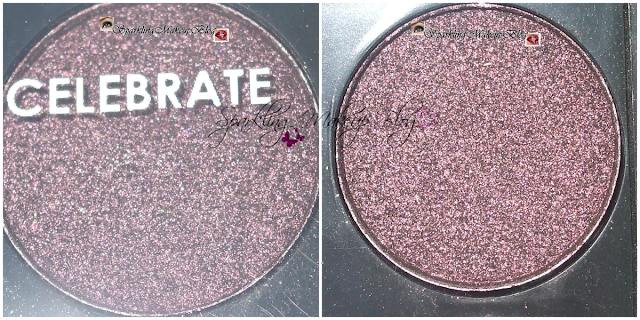 This shade won my heart even before I bought OSS. but it turned out to be heart breaker as despite being such a fruity pink shade it is really chalky and fall outs is obvious. It behaves well with a primer underneath. Still love this shade. Another shimmer in the row. It is a brown shade with golden shimmer. Highly wearable shade. 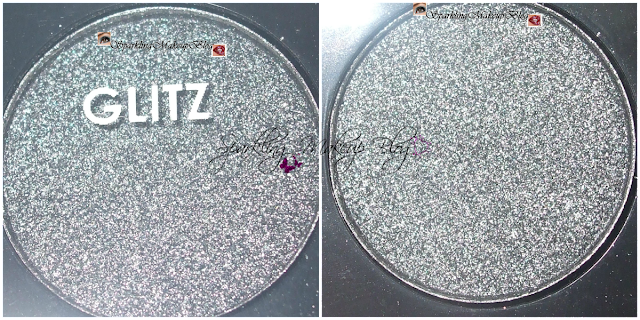 Equally good for night and day time eye makeup. This one is another winner of the palette it is a grey silver combo. I love this one as it is a best choice for night esp for smokey look. This shade caught me with a surprise as I didn't notice it earlier in reviews and pictures but on first swatch I knew this will be used more than the other shades as it is a really beautiful shimmer dusty dark mauve shade with maroon shimmer. Loving it rather celebrating it!!! It is the first shade, from left, in the lower row. 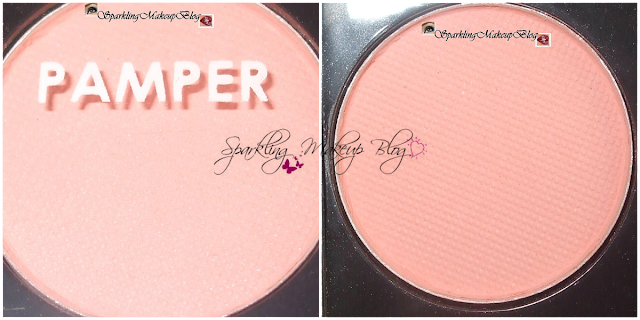 It is a very soft pink and very chalky like other mattes in the palette. Good to be used in pair with other pinks. This shade also gets-you by surprise. As it seems pink but when applied it turns into yellowish golden shade with pink undertones. Nice shade to be worn on eyes to surprise the on-lookers. 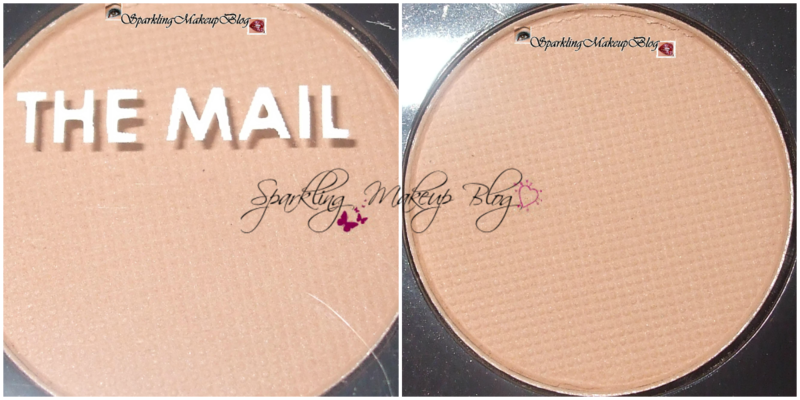 This is a matte skin brown shade, but not that chalky as other mattes. Good to be used with the other browns in the palette. 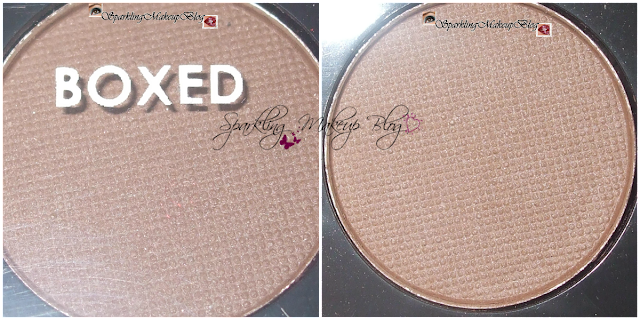 Its a matte brown and not that chalky, I guess the matte browns in this palette are not chalky like the matte pinks. I use this shade to contour my face mixed, to lighten a bit, with The mail. 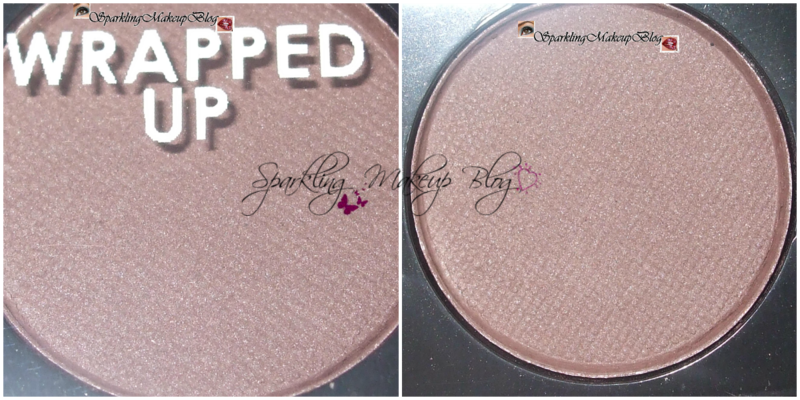 A dark chocolate brown matte shade. 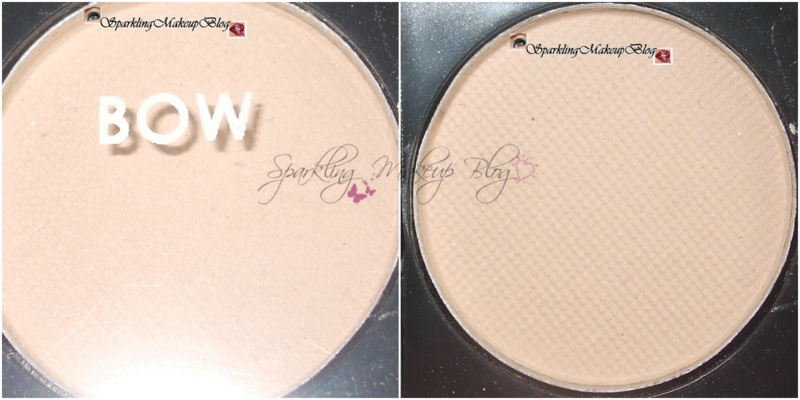 Best to deepen the crease line and it can be used with a wet liner brush to line and define around the eyes. 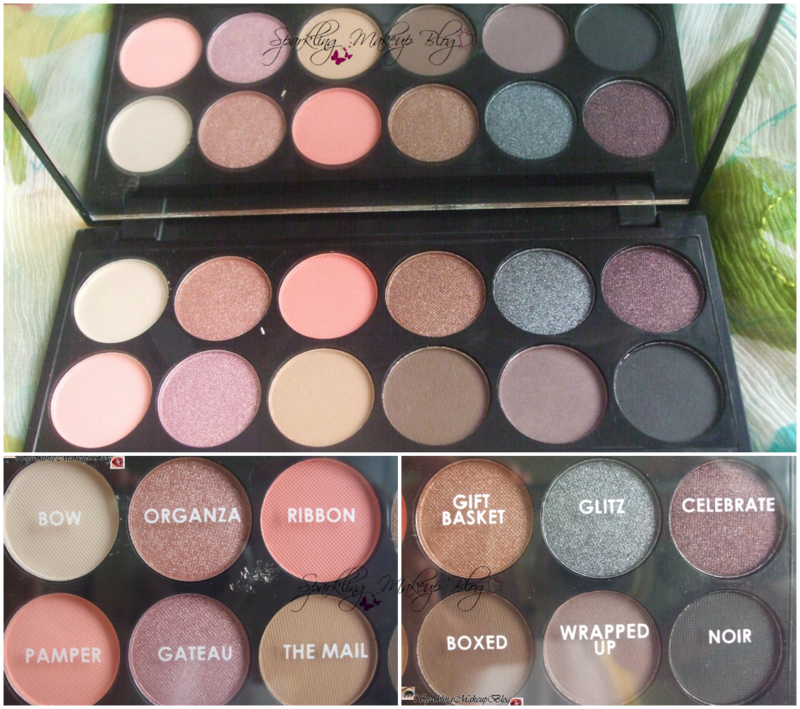 The Black Beauty of this palette, a winner shade of Sleek Makeup i-Divine palettes. It has fall outs issue and being a darkest shade, it's fall outs can be a mess, so one has to be very couscous using this. It can be applied as a liner with wet liner brush to line and define the eyes. 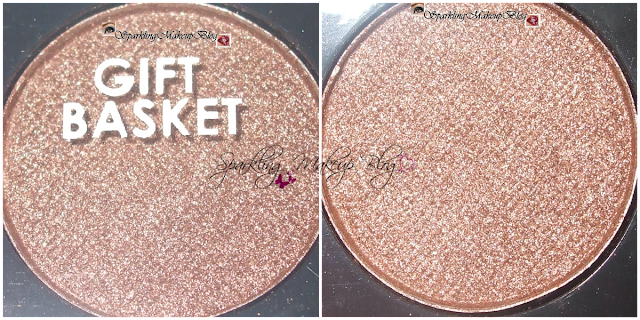 Best for that DARK SMOKEY eye look. Now as I started using brushes for my eye makeup this seems useless. But it is a good applicator esp if you are not using any primer, which is not highly recommended, you can use it to apply the chalky shades it really does help on that. I like the long length of this one with double ended sponges. 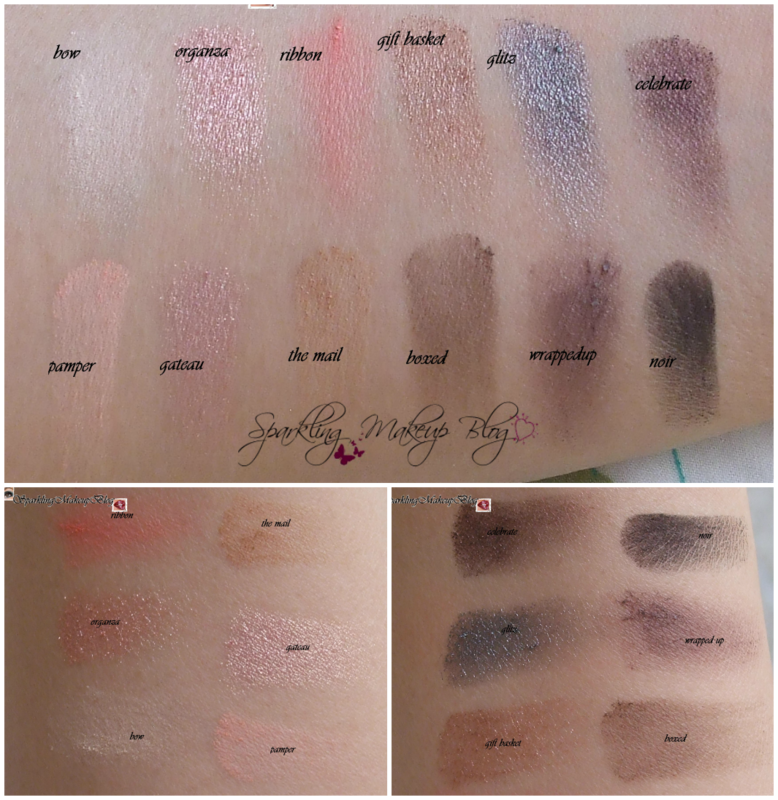 Swatches are without any primer/base. 4/5. Wish that this palette has matte pinks not that chalky and the shimmers had no fall outs. Still love it as these both issues can be managed. The shades and the collection of 12 colours in OSS is really so special do give it a try I know it will become the most reached out palette of your stash. I got it from Beauty Unleashed for Pkr 1350 back in June 12 (including taxes and shipping charges from UK to Pakistan). 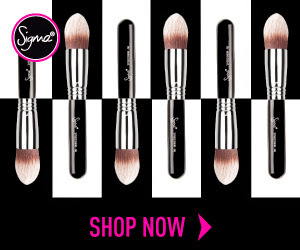 The latest price is $9.99 check on Sleek Makeup website, they ship world wide. Join Sleek Makeup's Facebook fan-page to stay updated on there latest launches. I hope you all like my review of MY Dream Palette Oh So Special!!! which is truly special indeed. Do comment, share, like, tweet, G+ and Pin IT. Join my blog publicly to follow all the upcoming posts. 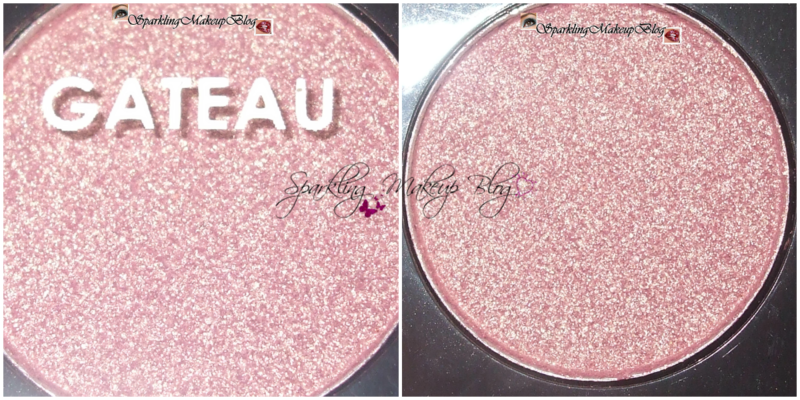 This Product is used in a FOTD here. Used in a Makeup Look HERE!!! 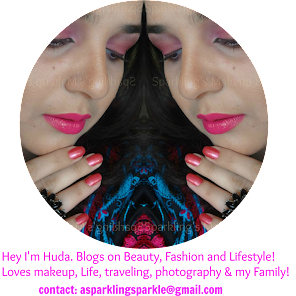 To read my other posts on Sleek Makeup Click HERE!!! Remember me in your prayers as ever. 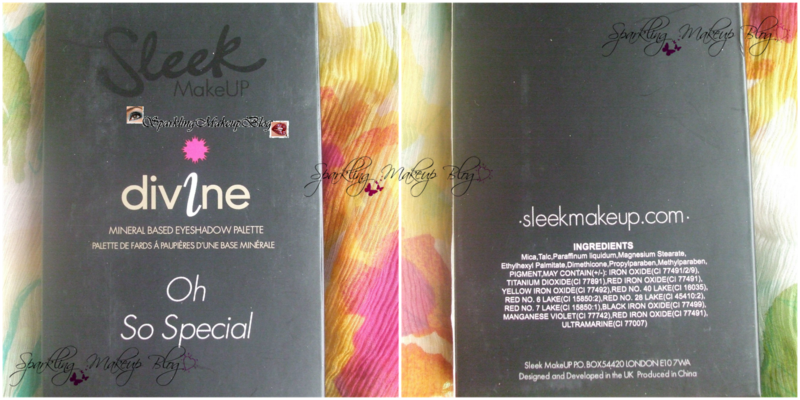 I have Sleek Divine Mineral Based EyeShadow Palette-Storm. and that is with more than two years.. and it is fine.. i am sad to hear it will work for one year.. so its mean more eotds..
nice swatches and color description.i love this one.good deal for 1350.the only bad point is it doesnt have greens. i have thsi and ive laready hit pan on boxed and noir! I have this palette and i love it so much. Specially celebrate, glitz and giftbaskit are my all time favorites . WoW!! Amazing palette!! plus lOOooOve ur blog!! its sparkly!! hehe!! I have a similar palette and i love it! great review, i am considering to buy this palette... thanks for the review.. Such a detailed review! Love the individual shots! You've sold me on this one!